Whirlin Curlin. Photo by Jim McCue, Maryland Jockey Club. Gary Barber, Wachtel Stable and Terp Racing’s promising colt Still Having Fun will make just his third career start and first as a 3-year-old Saturday at Laurel Park, taking a second straight shot at stakes company in the $100,000 Frank J. Whiteley Jr. The sixth running of the seven-furlong Whiteley for 3-year-olds and the 30th running of the six-furlong Marshua for 3-year-old fillies are among four $100,000 stakes on the 10-race program. Also on the card are the Native Dancer for 4-year-olds and up and Nellie Morse for fillies and mares 4 and older, both contested at about 1 1/16 miles. A bay son of multiple graded-stakes winner Old Fashioned out of the Dehere mare Casual Kiss, Still Having Fun didn’t make his career debut until Nov. 17 at Laurel, coming from off the pace for a 3 ¼-length triumph against maiden claimers. Terp Racing sold an interest in Still Having Fun, a $12,000 yearling purchase co-bred by trainer Tim Keefe, to Barber and Adam Wachtel following his maiden victory. He returned in the Maryland Juvenile Futurity Dec. 9 at Laurel, breaking a step slow but rushing up to find himself on a contested lead along inside where was able to hold off multiple stakes winner Whirlin Curlin the length of the stretch before yielding late to lose by a neck. 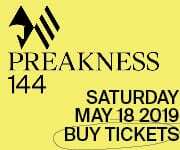 Still Having Fun is a narrow second choice on the morning line at odds of 5-2 in the field of eight, and will break from Post 3 under 116 pounds including jockey Feargal Lynch. 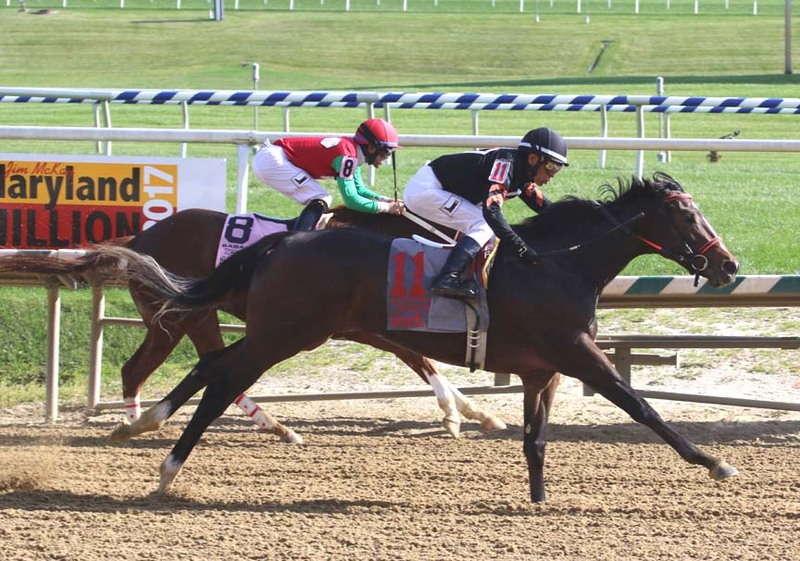 Marathon Farms’ homebred Whirlin Curlin upset the six-furlong Christopher Elser and seven-furlong Maryland Juvenile Futurity, both restricted stakes, at odds of more than 20-1. Fifth in the Heft Stakes Dec. 30 at Laurel, hee drew the rail for the Whiteley and was assigned topweight of 122 pounds, with J.D. Acosta replacing injured rider Jevian Toledo. “He’s been good, doing everything fine. I was really going to wait a little bit longer and stretch him out a little bit farther but we wanted to go in this race to kind of see where we’re at,” trainer Gary Capuano said. “I thought the last race was all right. I’m not sure he handled the racetrack all that good but I don’t really have an excuse for him. He kind of just ran an even race. He came out of it fine and everything looks good. He just got outrun, I guess. Another horse with stakes experience is Everest Stables’ homebred V.I.P. Code, second in the one-mile Awad on the Belmont Park turf Oct. 28 who was never a factor finishing off the board in the 1 1/8-mile Remsen (G2) Dec. 2 at Aqueduct. The City Zip colt owns two wins, a second and a third in four lifetime starts at Laurel. “V.I.P. Code is a horse we’ve been excited about for a long time. He’s just a big, imposing, long-striding, good-looking kind of horse. He’s the kind of colt that you hope to have someday,” trainer Phil Schoenthal said. “We’ve had high hopes for him. He ran a huge race up in New York. A lot of folks look at that form and say the grass helped him or he moved up on the grass. We didn’t feel it was the grass as much as the distance that really helped him. Rounding out the field are William and Mary, winner of the Tri-State Stakes Jan. 10 at Charles Town; Wentz, the 2-1 program favorite off a front-running maiden score Nov.27 at Parx for trainer John Servis; Oldfashioned Club, Old Time Revival and Ninetyeightoctane. Limited View. Photo by Laurie Asseo. Four weeks after a disappointing off-the-board finish in the Gin Talking that snapped her three-race win streak, Limited View will meet a familiar opponent in Enrage as she looks to bounce back in the $100,000 Marshua. Owned by Fred Wasserloos, George Greenwalt and trainer John Salzman Jr., Limited View was impressive in putting together three consecutive victories including her dramatic rally in the Maryland Million Lassie and a powerhouse performance in the Maryland Juvenile Filly Championship. 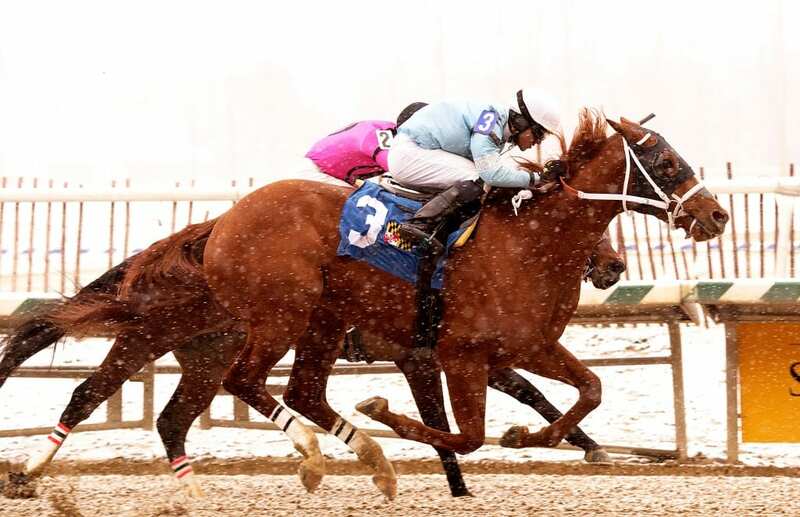 The temperamental Limited View, who has had past issues in the paddock and starting gate, drew the rail in the Gin Talking and had to be taken out and reloaded after Frigid Sister flipped in the gate and was scratched. She was up near the lead for a quarter-mile before giving way and wound up ninth of 10 under Hall of Famer Edgar Prado. Prado, aboard for five of her six starts including all four wins, has the return call from Post 3 of six at topweight of 122 pounds. Limited View is listed as the 2-1 second choice on the morning line. Adele Dilschneider and Claiborne Farm’s homebred Enrage is the 9-5 program favorite for the Marshua, exiting her runner-up finish in the seven-furlong Gin Talking behind Strategic Dreams, her stakes debut. It was the first race at Laurel for the bay Algorithms filly, who made her first four starts in Kentucky for trainer Ben Colebrook. She will break from Post 2, one spot inside Limited View, under Sheldon Russell, who rode in the Gin Talking, at 116 pounds. Also entered are Enchanted Ghost and Off My Stage, each testing stakes company for the first time off two straight wins; Aggregator and Last True Love, the latter eighth in the Gin Talking.